I went into the doc and found out a mole I've had all my life didn't look so good to him. So he suggested I get it taken off and I did. It was sent in to the lab for testing and it was found to have Melanoma. 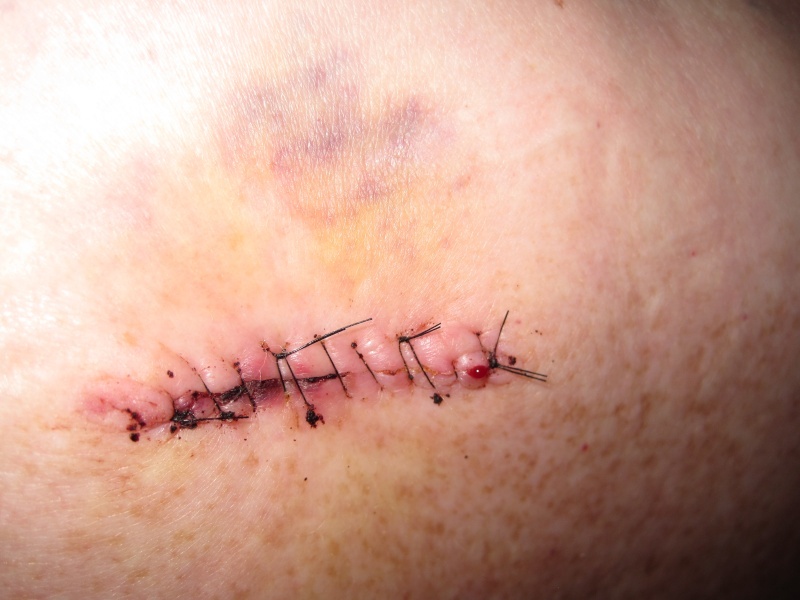 Now I am scheduled for another surgery to remove more area around where the mole was removed. 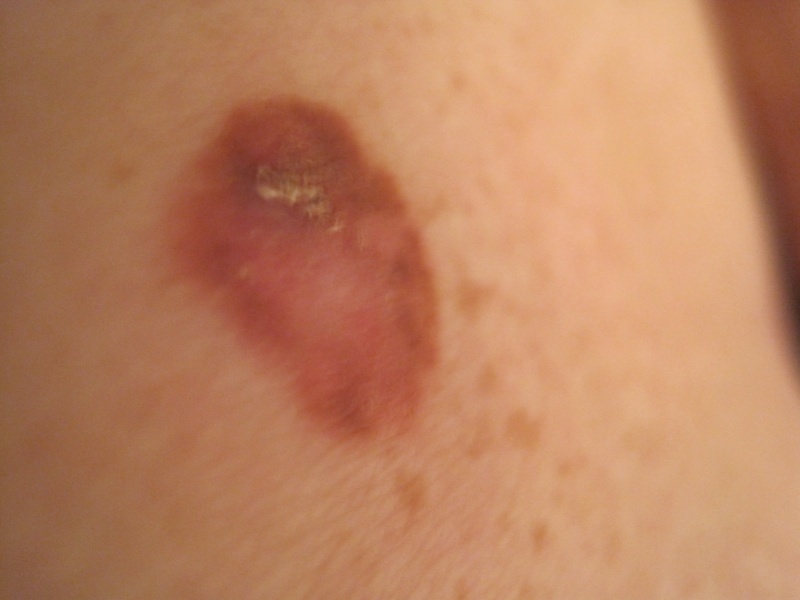 So I will be heading down to the University of Washington Medical Center Cancer Clinic to have this done and they will decide after that whether I need some kind of dye pumped into my skin to see if anything shows in my glands nearest to where the Melanoma mole was located. After that who knows? Just asking for your prayers in this matter and if any of you have had any past experience w/ Melanoma. Thanks so much. You've got my prayers, JW! Ditto!! Hang in there, we're claiming good health for you! You will be in my daily prayers JW, please keep us updated. JW, praying for you. You're in GOD's hands. I'll keep praying for you JW. I was at work one day and blood ran down my face from a small mole, I hadn't even touched it. The nurse wanted me to go immediately to have it looked at. They cut it off and it wasn't anything, but it can be scary. Keep us updated. British scientists have developed a tool to better identify cancerous moles. The instrument is held directly over the mole. It determines the mole's molecular structure and will know if it's actually melanoma. Ouch! Looks like they got all of it. Scripture tells us not to worry but even King David worried. Psalm 94:19 When worries threaten to overwhelm me, your soothing touch makes me happy. Proverbs 12:25 Anxiety in a person’s heart weighs him down, but an encouraging word brings him joy. Matthew 6:27 And which of you by worrying can add even one hour to his life? 6:28 Why do you worry about clothing? Think about how the flowers of the field grow; they do not work or spin. 6:29 Yet I tell you that not even Solomon in all his glory was clothed like one of these! 6:30 And if this is how God clothes the wild grass, which is here today and tomorrow is tossed into the fire to heat the oven, won’t he clothe you even more, you people of little faith? 6:31 So then, don’t worry saying, ‘What will we eat?’ or ‘What will we drink?’ or ‘What will we wear?’ 6:32 For the unconverted pursue these things, and your heavenly Father knows that you need them. 6:33 But above all pursue his kingdom and righteousness, and all these things will be given to you as well. 6:34 So then, do not worry about tomorrow, for tomorrow will worry about itself. Today has enough trouble of its own. Philippians 4:6 Do not be anxious about anything. Instead, in every situation, through prayer and petition with thanksgiving, tell your requests to God. 4:7 And the peace of God that surpasses all understanding will guard your hearts and minds in Christ Jesus. 1 Peter 5:6 And God will exalt you in due time, if you humble yourselves under his mighty hand 5:7 by casting all your cares on him because he cares for you. Still in my prayers kid. Good to know you are the mend. Have fun with it, set'em all off. Great news, I've been flat on my back for 2 days sick, lost track of time, got a major case of the crud. Heal well girl. BullFrog, sorry to hear you were sick. I haven't checked in for a while so am just now seeing this. Glad to see they think they got it all. Prayers of healing JW!